Finding the shoe that fits your game isn’t always an easy task. The shoes on your feet play a part in every hard-earned bucket, well-read steal, or big-time board. A quicker first step, better ankle support, responsive traction – the right shoe can help with all of it. Whatever part of your game you’re looking to step up, finding the shoe tailored to you can give you an edge this season. At Eastbay, we have the full arsenal of 2018’s best team basketball shoes in a range of colorways, so it’s easy to rep your team every time you step onto the court. The LeBron Soldier XII, with four lightweight straps, keeps you locked down and in control, just like the king himself. A shoe full of straps can be a hard thing to nail aesthetically, but the Soldier XII pulls it off – this shoe looks good. Ultra-responsive and comfortable Zoom Air cushioning gives you a beast of a shoe that doesn’t compromise comfort and makes for soft landings. It’s a shoe battle- ready out of the box and it delivers on stability, comfort, and overall versatility. 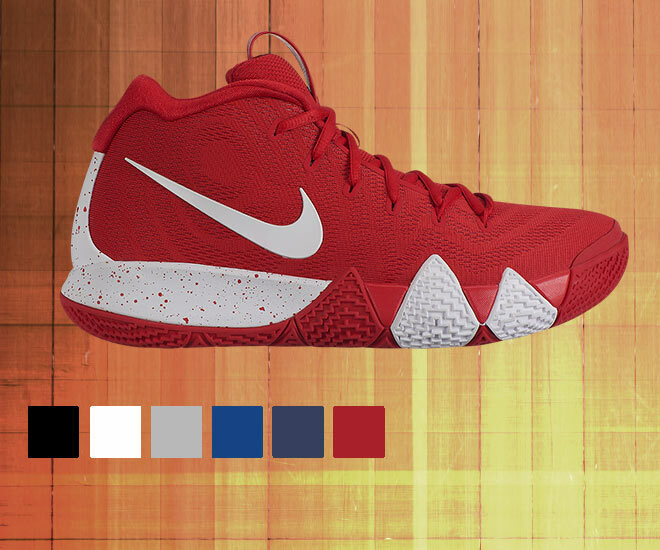 You can take this shoe in the paint or stay in the backcourt — basically anywhere on the court — just like LeBron. Without a doubt one of the most explosive and creative guards in the NBA, Kyrie Irving needs a shoe that can react to his flashy crossover and even flashier first step. 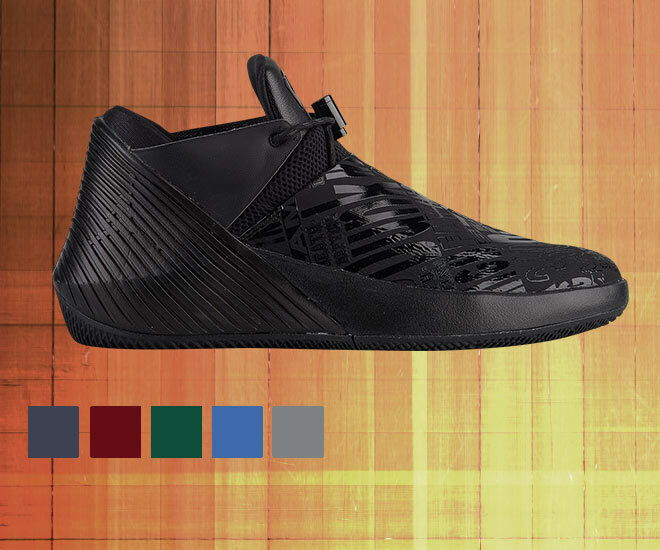 With a zig-zag patterned cutout of the shoe where the rubber hits the hardwood, you get full traction through even the most rapid changes in direction. A lightweight foam coupled with Zoom Air cushioning in the heel makes for the responsive court feel that savvy guards need to be play-makers. The fourth iteration of Kyrie’s line is a weapon every elusive guard needs in their arsenal this season. The Nike PG 2.5 gets back to its roots with a second debut of the midfoot strap. 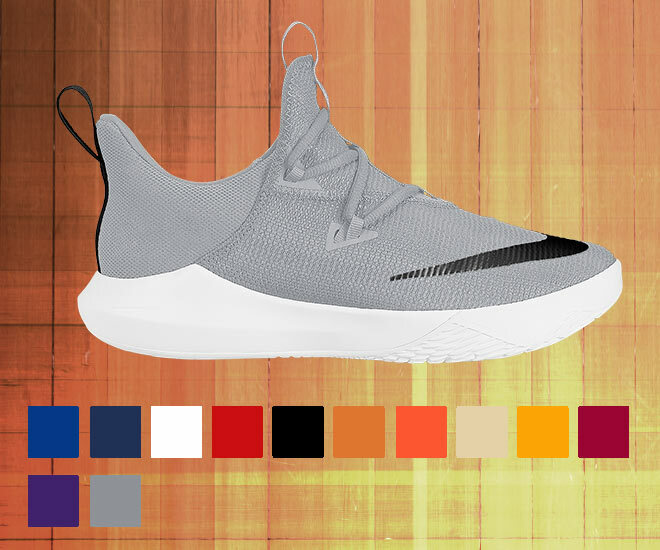 It hasn’t been seen since the PG 1, and it doesn’t add much to the shoe in terms of weight, so it still plays like a lighter profile basketball shoe. 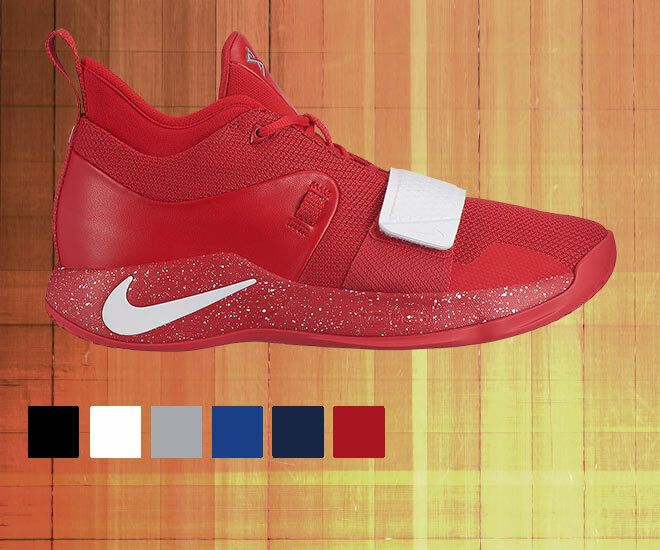 The strap, however, gives you the power to tailor your own fit so you’re ready to man up against anyone, just like Paul George, and the innovative outsole keeps you from wiping your soles on every dead ball, so you can stay zoned in on what matters. The Nike Hyperdunk has officially hit its decade mark as a staple in Nike’s performance basketball shoe lineup. The shoe started breaking down walls with its flawless Flywire design in 2008, and it’s back in even better form for the 2018 season. 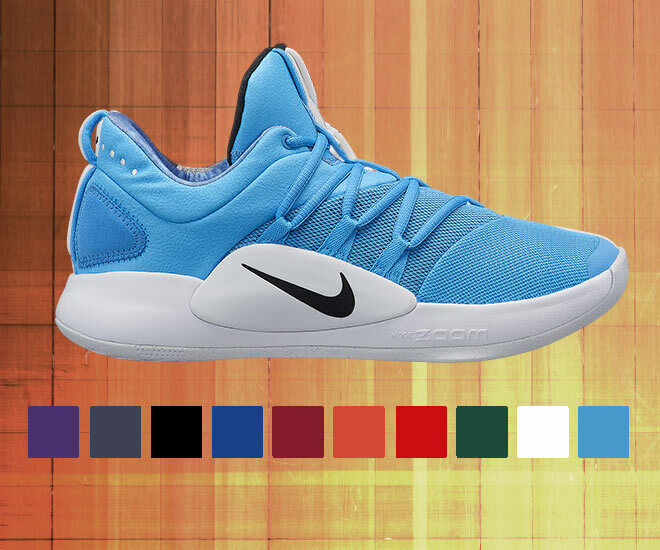 Superb on-court feel and traction come from its wave-like outsole patterns that grab the hardwood with authority. The iconic line keeps its staple Zoom Air cushioning and complements it with a lightweight upper to help you log heavy minutes. 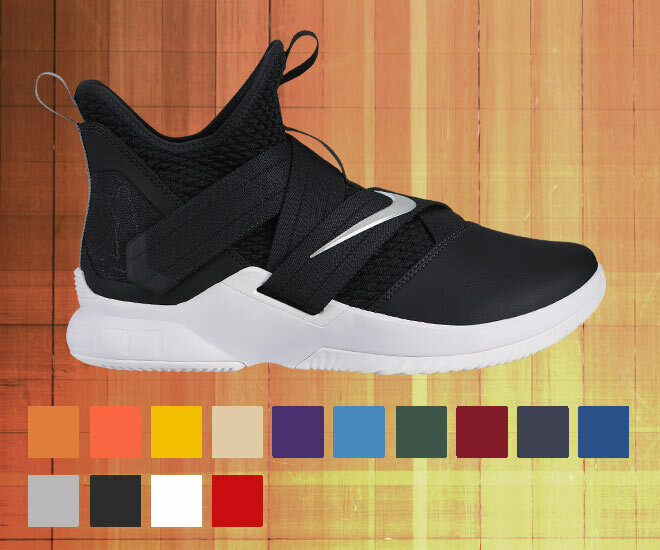 The Why Not Zer0.1 boasts a Zoom Air bottom with a Phylon midsole from heel to toe for an ultra-responsive feel. The heel bucket keeps you locked in for chasing down boards, while the bootie construction gives you the customized fit and comfort to log serious PT this season. The shoe is also offered in a mid-top if extra support is a priority, so pick up a pair – why not? The Pro Bounce sports a high-cut silhouette with a sleek, not-too-busy design that excels in versatility and overall support. The shoe is equipped with ultra-tough TPU through the sole to help make toe-off motions and lift-offs more in control, yet explosive. If you play above the rim, a game’s worth of landings with the bounce midsole is a serious plus. 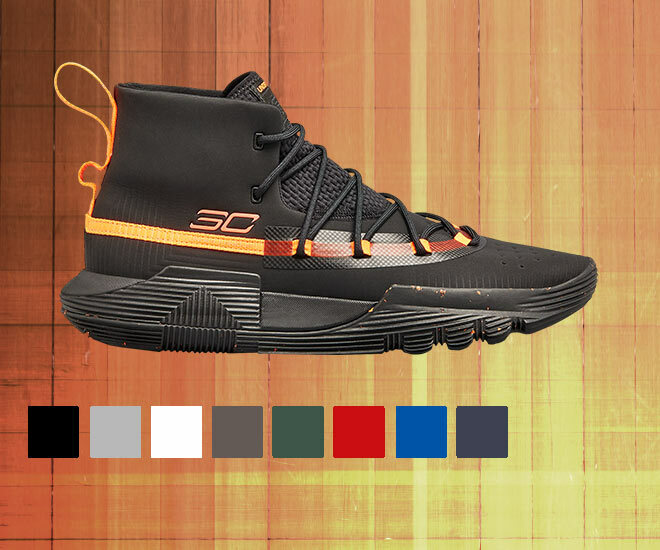 Under Armour didn’t waste much time after the Curry 5 release to get started on Curry’s next performance basketball shoe. The second installment of the SC 3Zero features a large lateral wrap for 360-degree grip when pushing through screens, cutting to the hoop, or sliding over in time for the charge. The midsole brings you the explosive energy return seen in Curry’s elusive, change-of-speed offense by adding dual-density Micro G foam and Charged Cushioning. 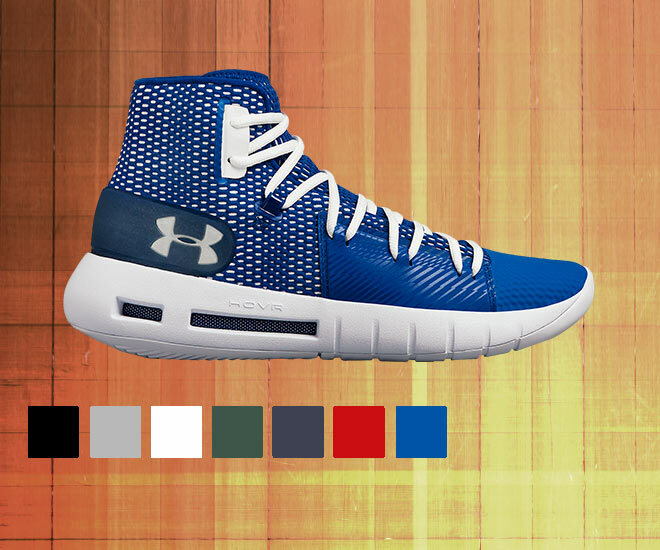 Hovr tech cushioning – a high-end foam previously only found in running shoes – hits the hardwood for the first time. The shoe’s high-end foam provides great energy return and comfort while on the court. The shoe gets its guts and lateral mobility from the durable yet lightweight TPU material used in the heel counter, midfoot, and melted film on the mesh upper, all while being a seriously good looking shoe in the process. Find the Hovr Havoc in a low or mid-top in 14 different colorways today. Shift into the next gear this season with the seriously grippy outsole on the Nike Zoom Shift 2. Nike drops in the same Zoom Air cushioning found in many of their performance-line shoes. At its core, the shoe stays light with its textile upper, a huge complement to the high-traction wraparound outsole for aggressive blow-bys. The Zoom Shift 2 is a serious deal sitting at only 0, and it’s poised to keep up with even the most elite players on the court. Your game is unique to you, and your shoe should be too. The regular season is around the corner, and more shoes and colorways are in the queue to drop, so stay tuned. 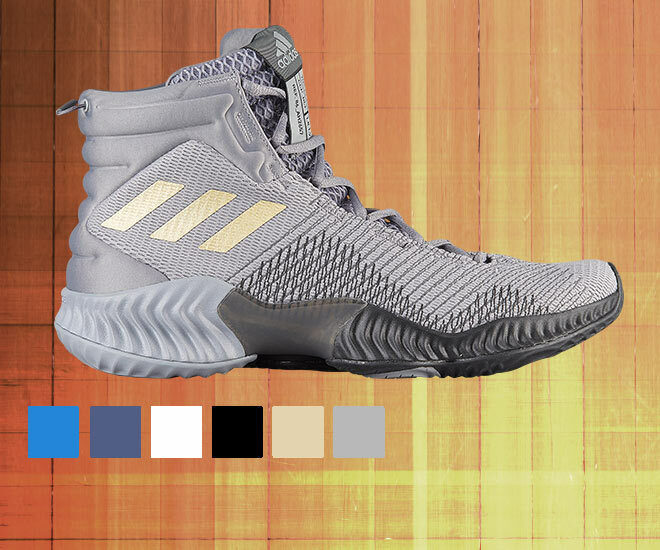 The post The Best Team Basketball Shoes of 2018 appeared first on Eastbay Blog.